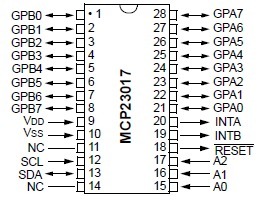 I2C should have pull-up resistors. The reason why this works in the first place is that there may be internal pull-ups enabled inside the MCU. But those pull-ups are way too weak to drive the I2C line up. Add about 2k2-4k7 ohm resistors between signals (SDA, SCL) and the VCC. If you have an oscilloscope you would see sharper edges of the signal. Thanks for notifying. In my case it was working fine. Later I read some post explaining the use but havent tried that yet. I will add the pullups and give it a try. Thanks once again for the feedback. 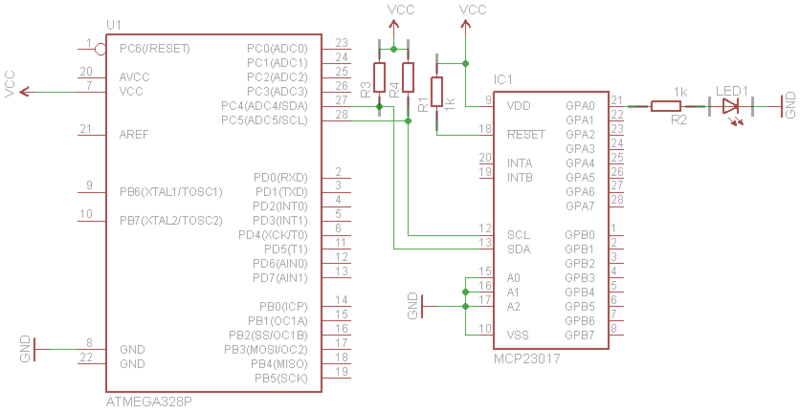 Updated the schematic, thanks for notifying me.